The significance of the trinity archetype and the number three is recurrent in religions and myths around the world. Within the trinity archetype, each element is both distinct from and symbiotic with the other elements—that is to say, each stands apart from the others, but none can truly function alone. This can be seen throughout Greek mythology, for example, The Moirae and The Musai, and of course, through the Christian Trinity of Father, Son, and Holy Spirit. 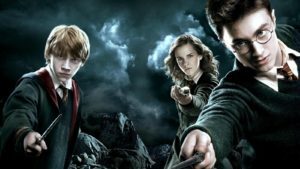 While the archetype of the trinity appears numerous times throughout the Potter series, at its very heart, the series is centrally focused on a triad of trinities: the Trio (Harry, Ron, and Hermione), the three Unforgivable Curses, and the three Deathly Hallows. 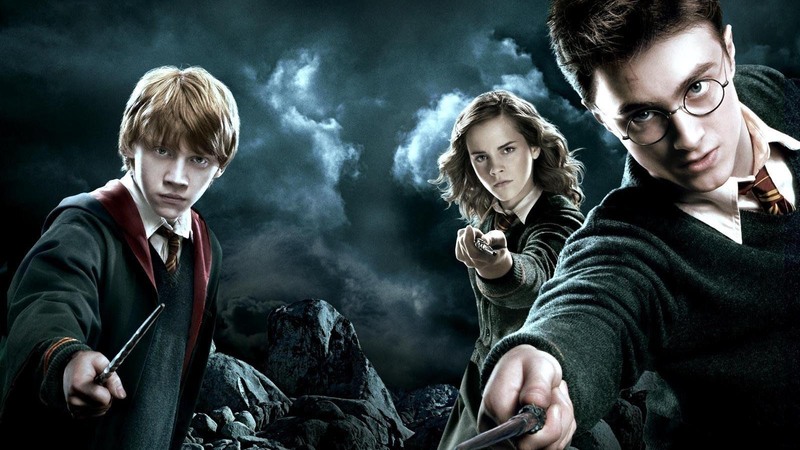 It is the intersection of this triad of trinities—this “supertrinity”—that not only drive the Potter narrative, but connect the work so readily to the psyche of readers and fans; it is how we are harmonically programmed, in terms of understanding stories.